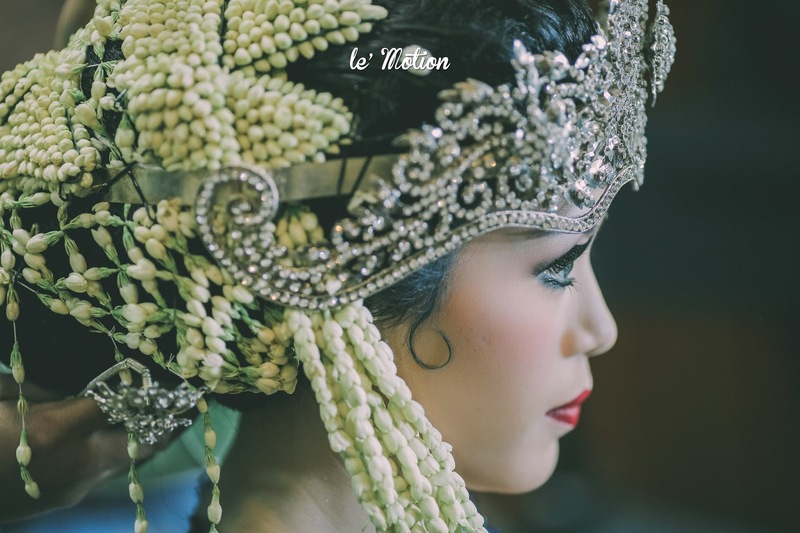 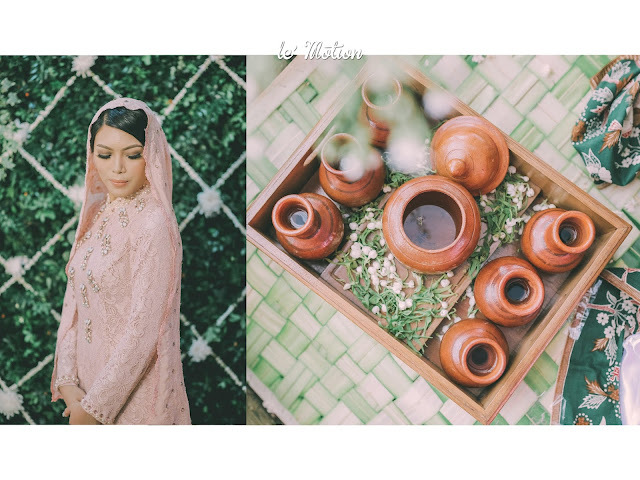 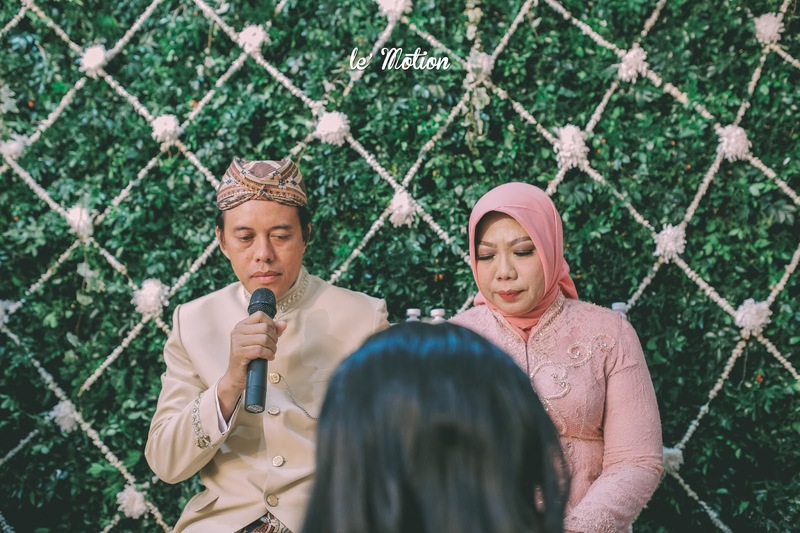 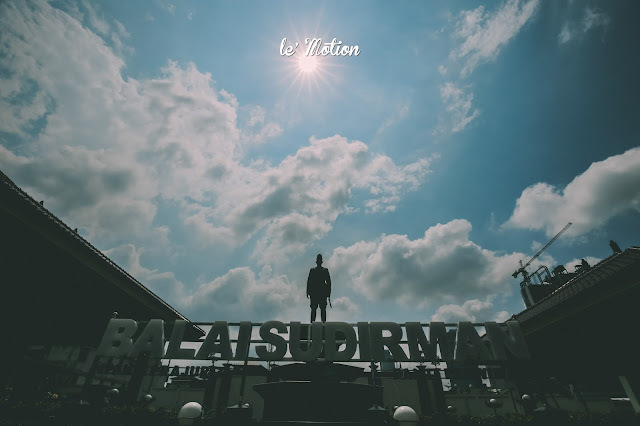 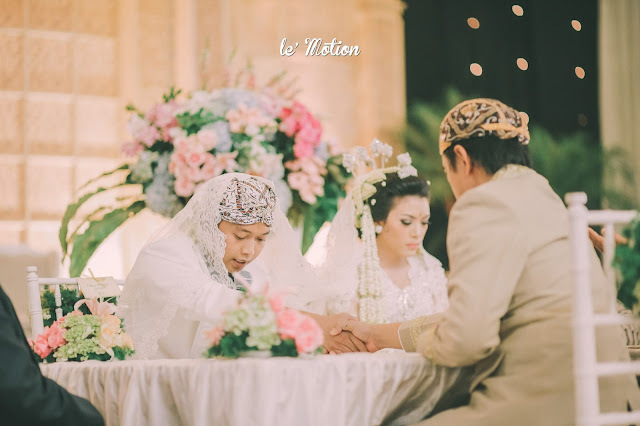 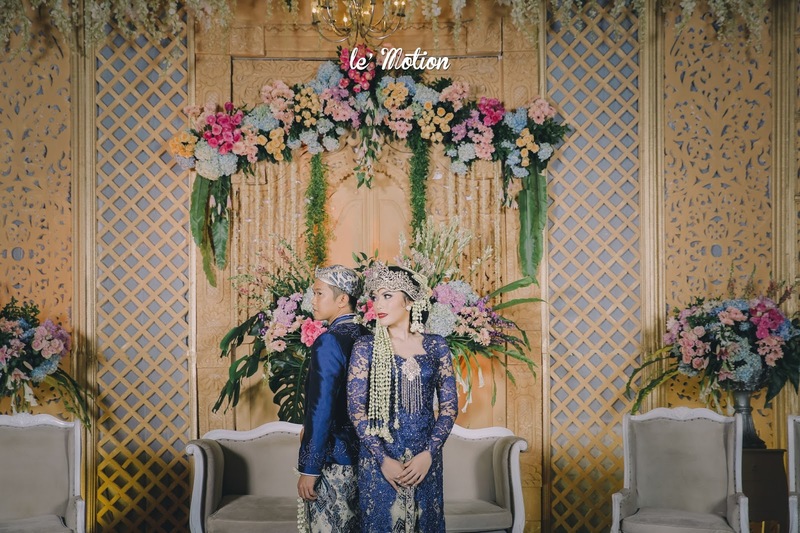 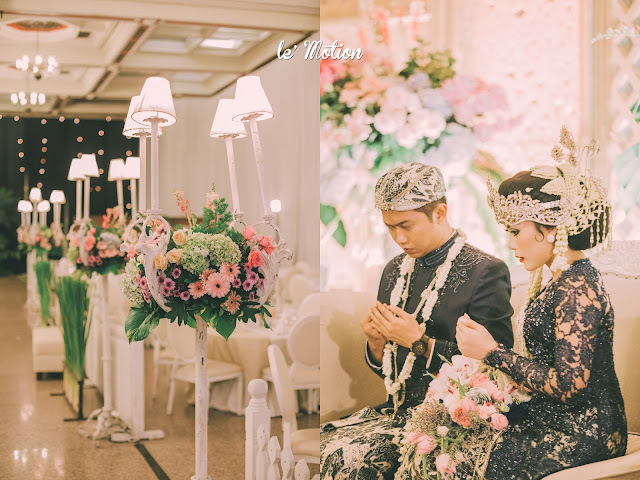 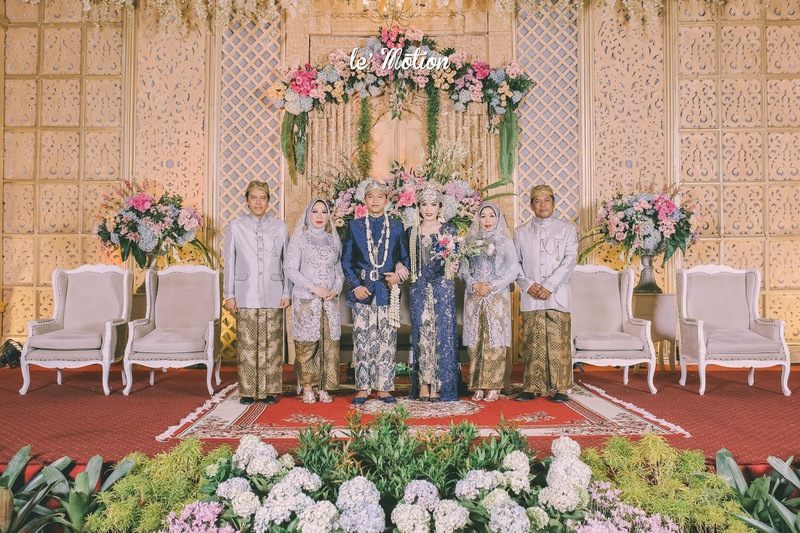 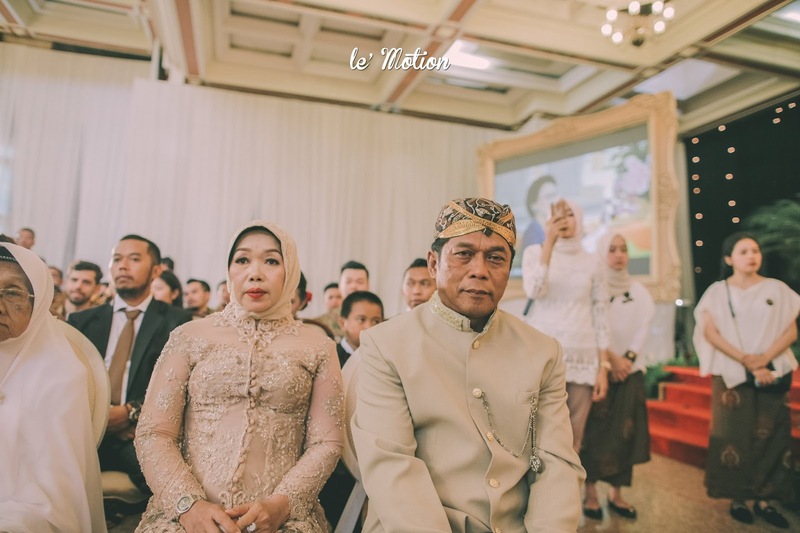 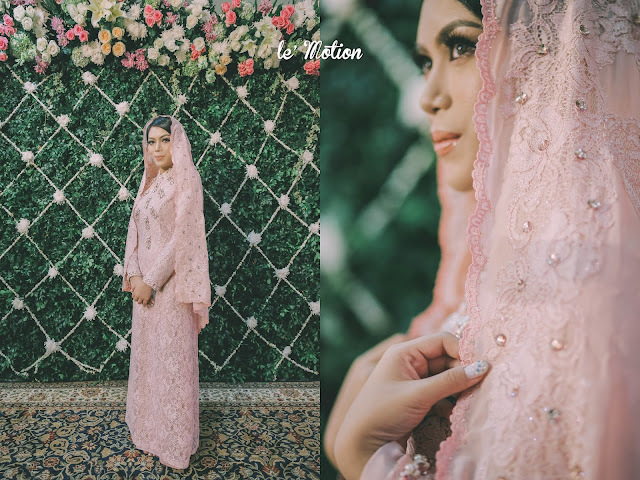 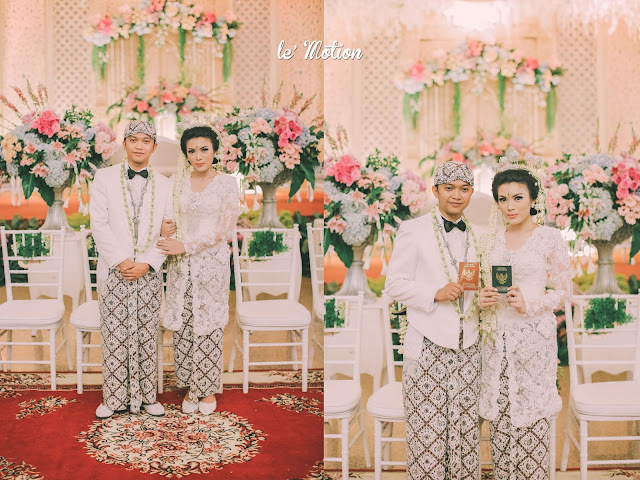 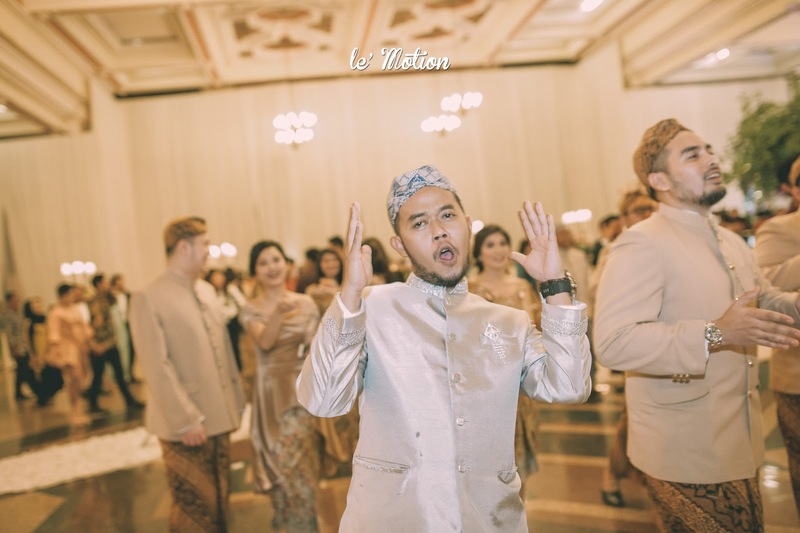 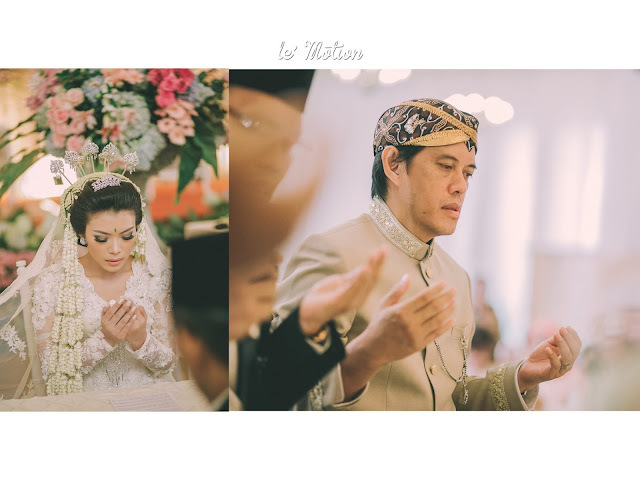 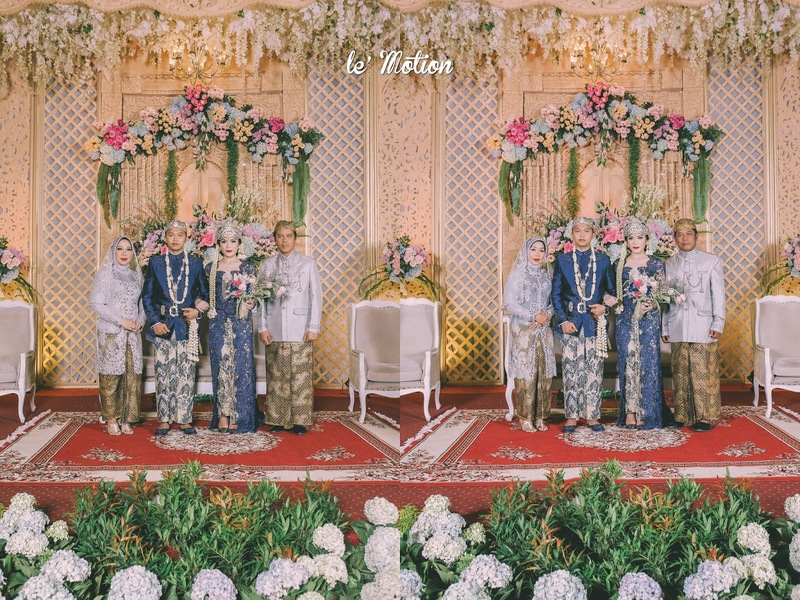 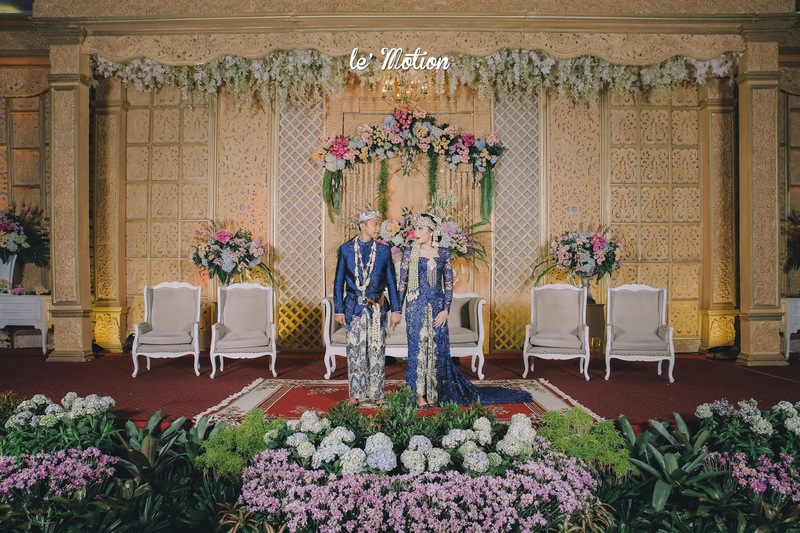 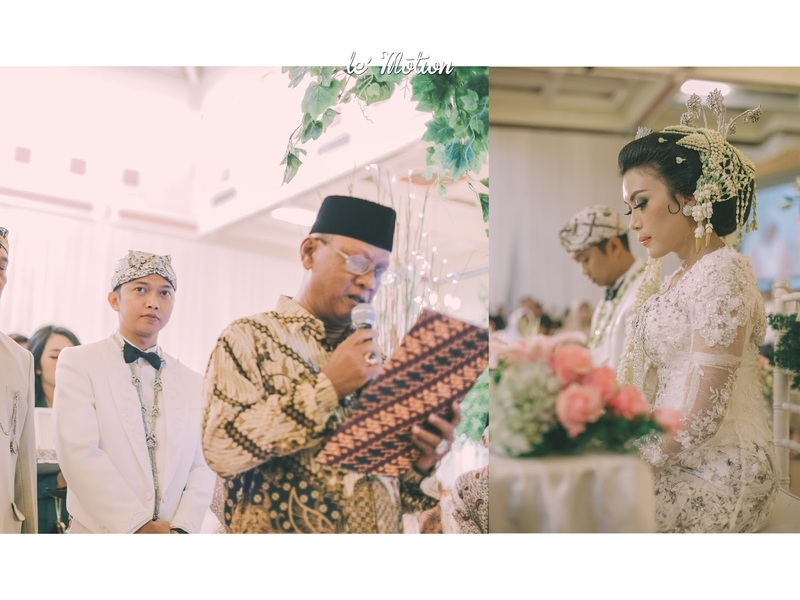 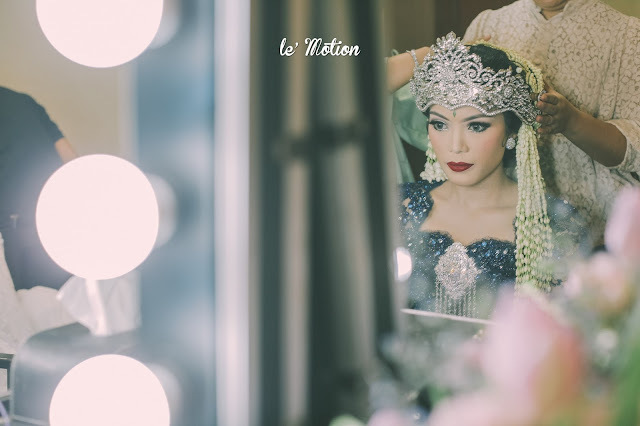 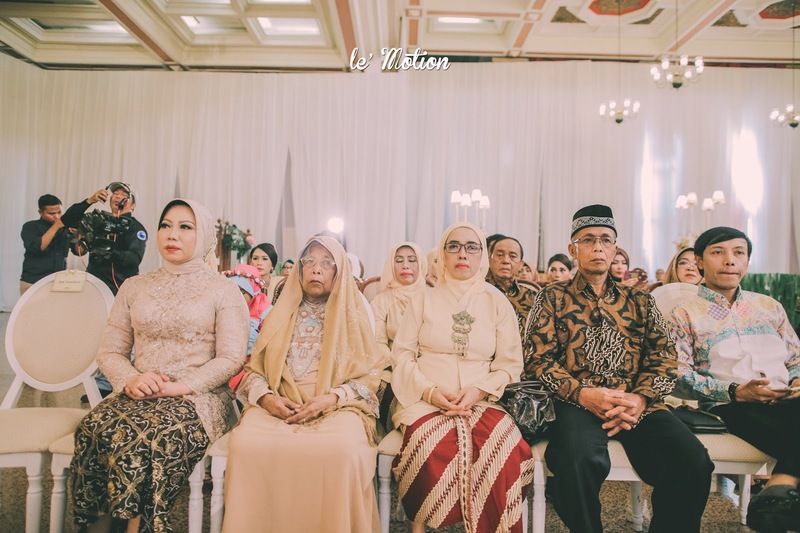 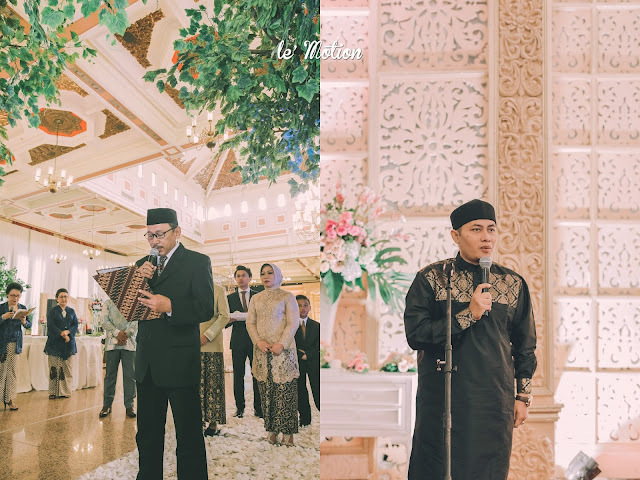 Tasha & Malino's Sundanese traditional wedding was held very lively at Balai Sudirman. 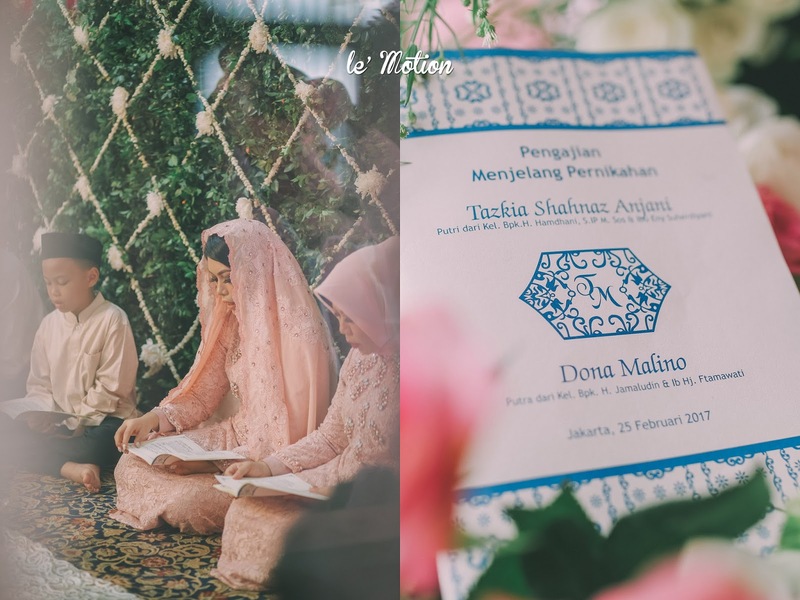 Their wedding procession begins with a solemnly Qur'an recitation at Tasha's residence as a hope for the best in ther wedding and to have a great start of their marriage. 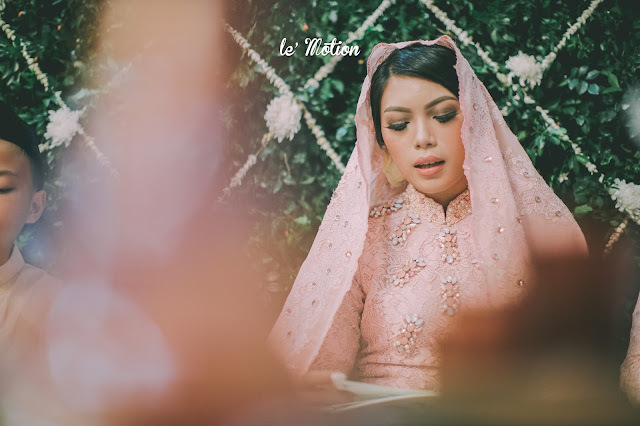 On her Qur'an recitation day, She wore a beautifully design soft pink muslim dress. 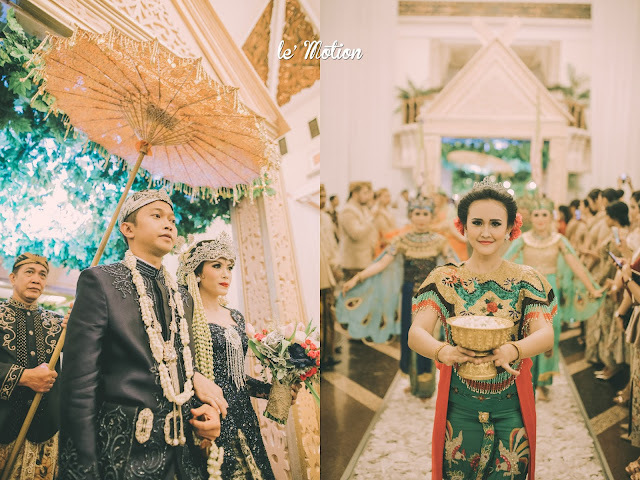 The sundanese siraman procession was also done in Tasha's residence. 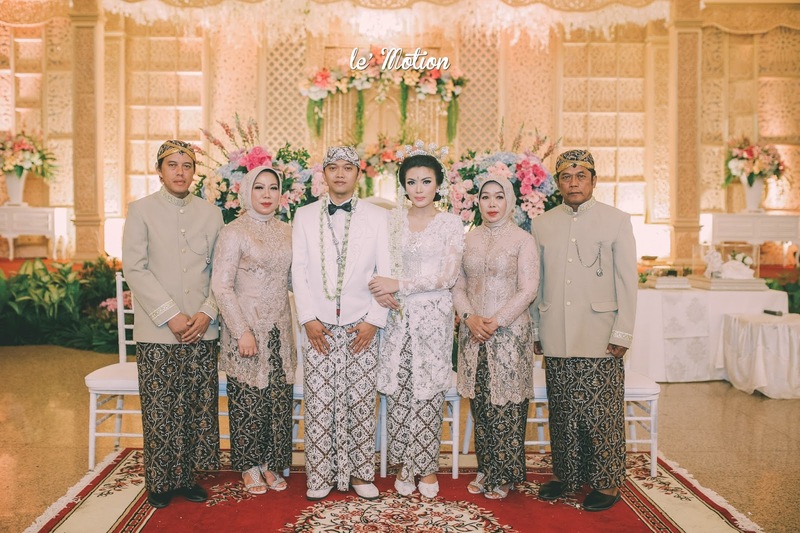 On the Akad day of Tasha and Malino at Balai Sudirman, Tasha looks dashing with her white kebaya. 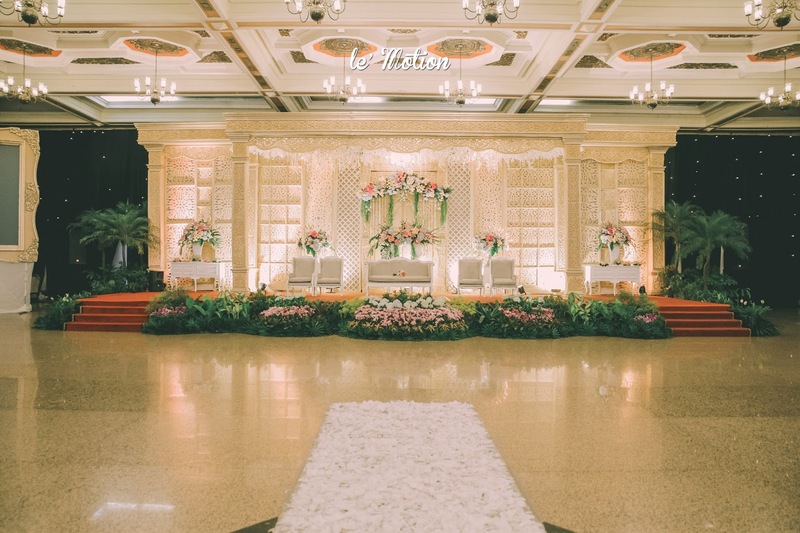 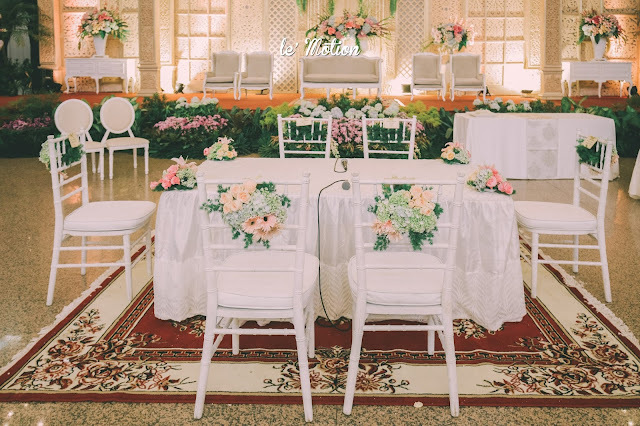 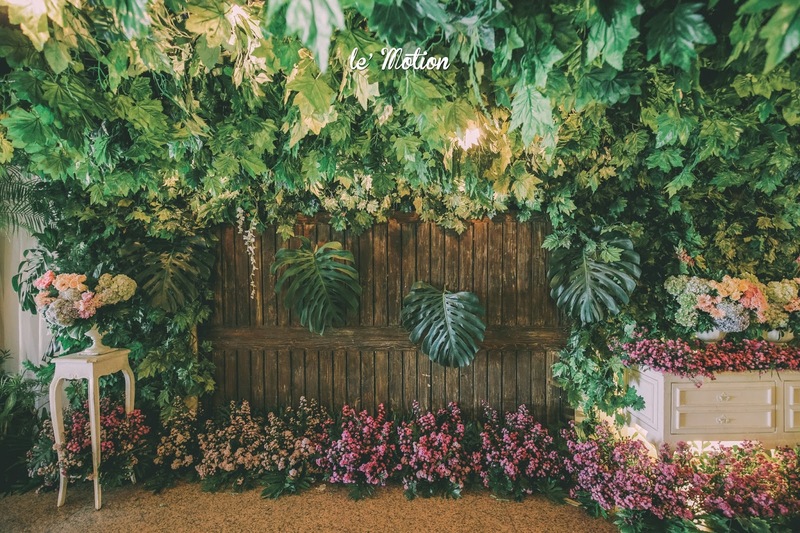 The venue was beautifully decorated by Rich Art Decoration with colourful yet soft flowers decoration. 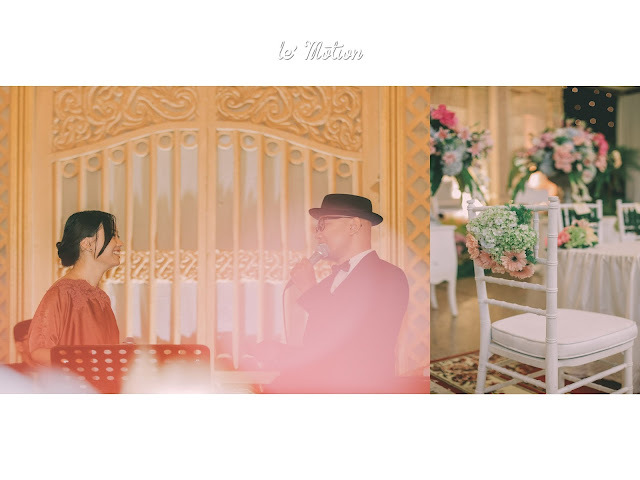 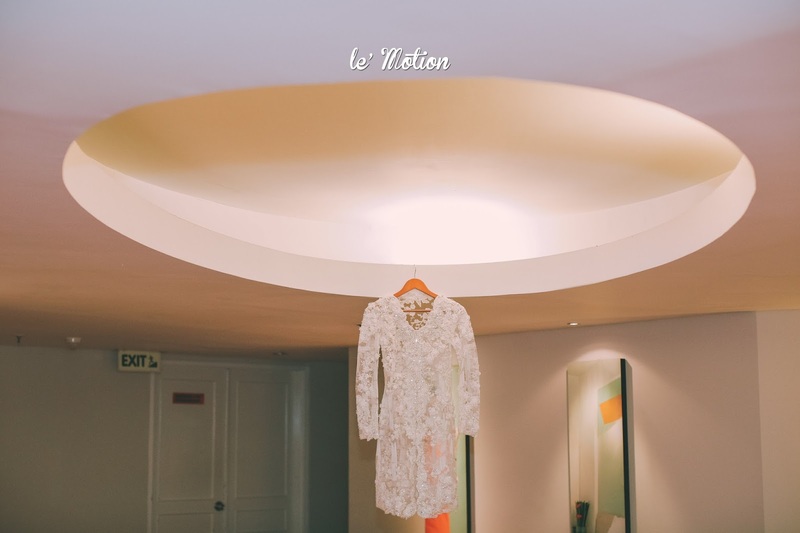 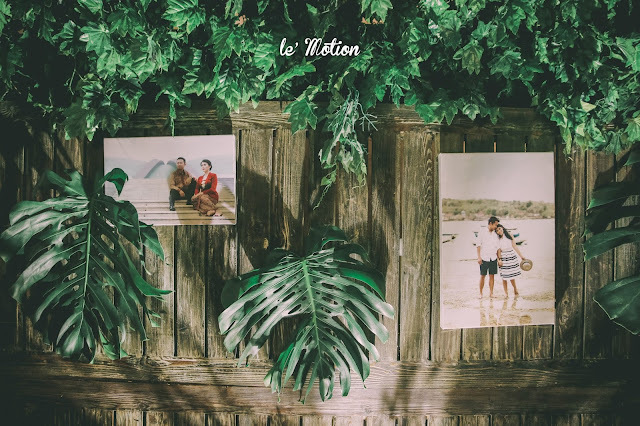 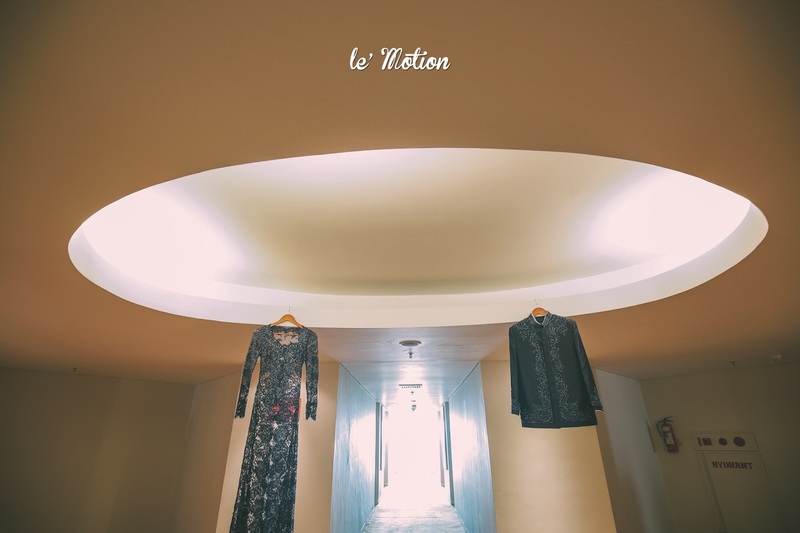 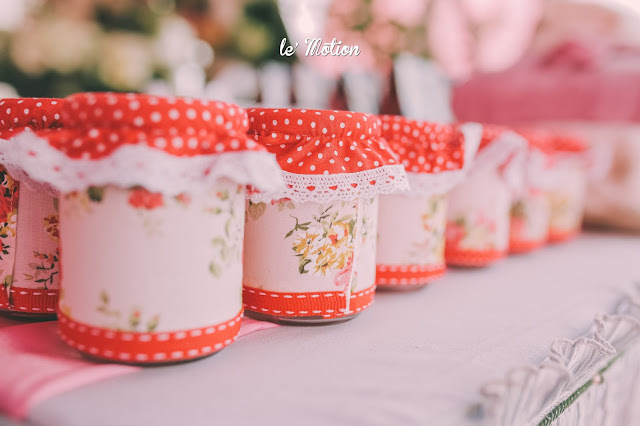 The combination color of pink, peach and soft green makes the wedding day seems sweet. 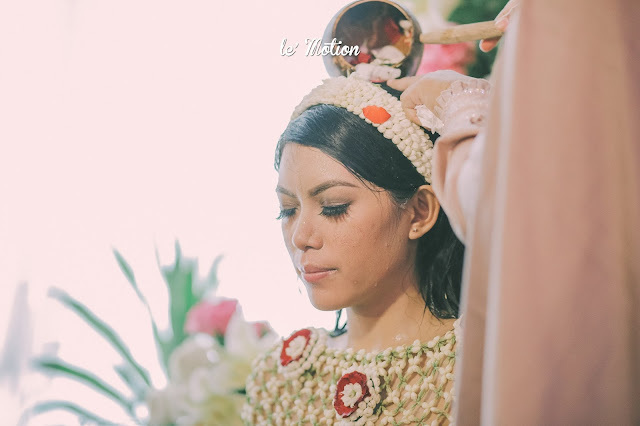 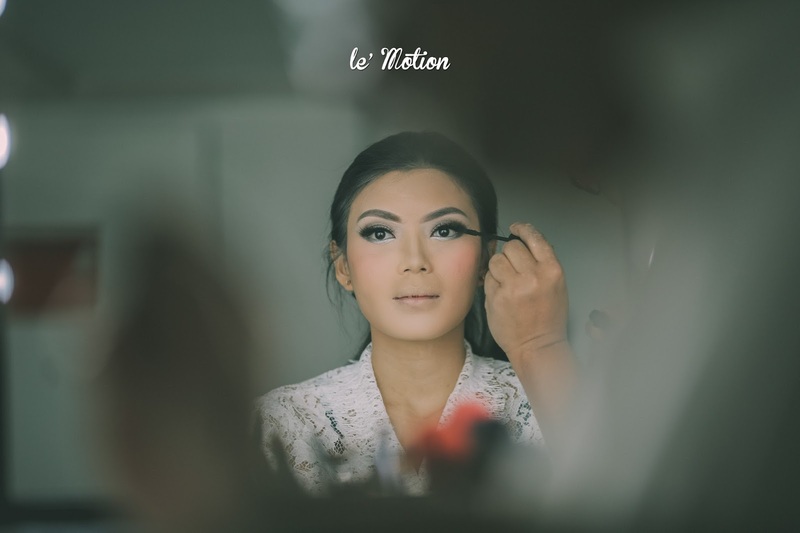 The touch of make up from Adi Adrian makes Tasha look stunning on her festive wedding day. 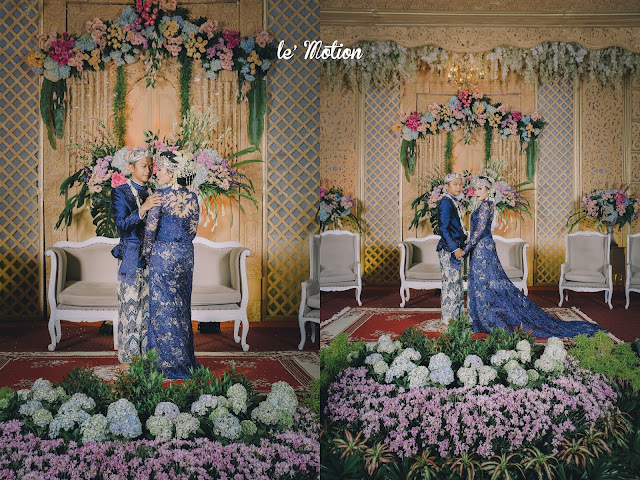 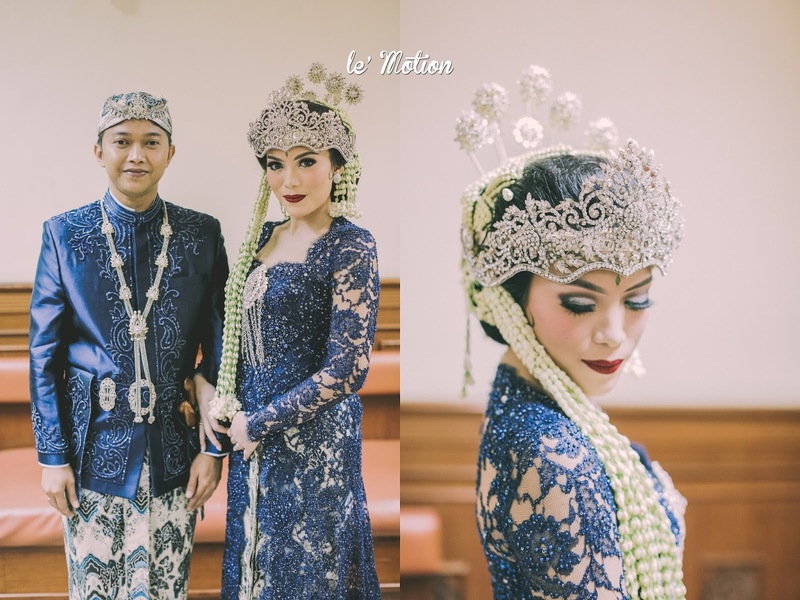 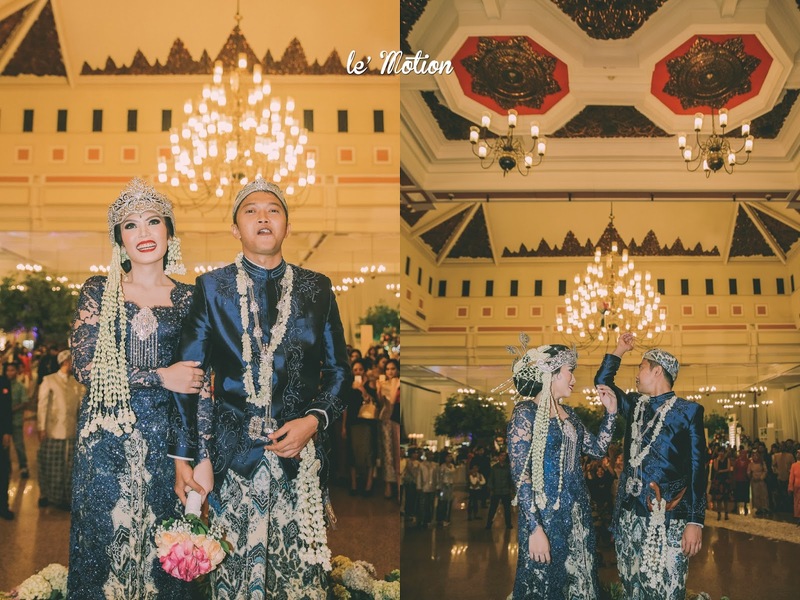 At reception party, Tasha was wearing dark blue beaded kebaya with beautiful silver siger walking alongside Malino wearing his dark blue beskap accompanied by incredible traditional dancers from GSE Ekayana. 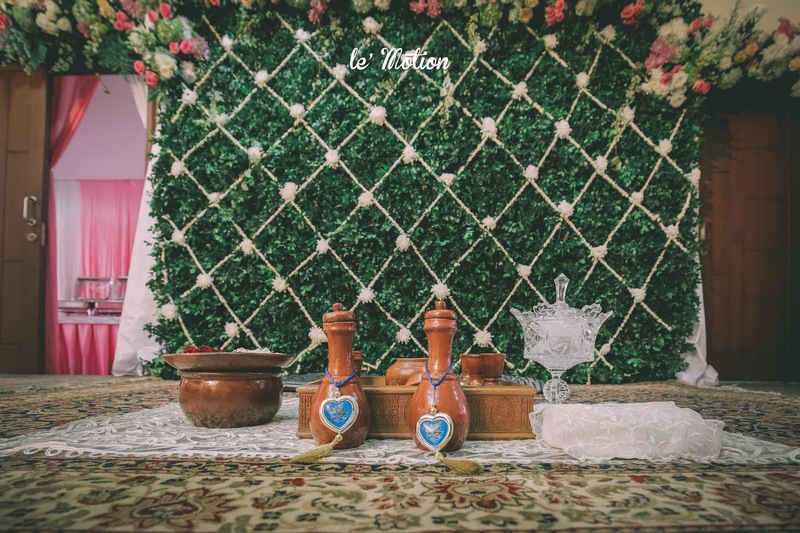 With romantic music by Voyage entertainment, their traditional wedding day takes you to a joyful yet memorable atmosphere.